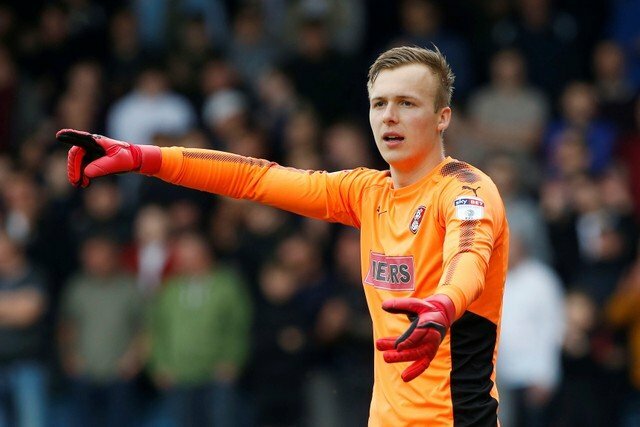 Vital Rotherham United’s Man of the Month for October was Goalkeeper Marek Rodak. On loan from Premier League side Fulham the 6′ 4” Slovakian U21 international was voted our Man of the Match for our home draw with Bolton Wanderers, in which he saved a second half penalty, and our goalless draw away at Middlesbrough, which was his second clean sheet of the month, the first being at the beginning of the month when Bristol City were the visitors to the New York Stadium. Marek is in his second loan spell with the Millers, the first being last season when he helped us to a Wembley win in the League One Play-Off Final. In the goalless draw against Bristol City Will Vaulks and Ryan Williams got the joint Man of the Match with Semi Ajayi getting the accolade in our away loss at Birmingham City. The final game of the month away at Preston saw striker Michael Smith score to get the Millers a one-all draw and was also named Vital Rotherham’s Man of the Match.